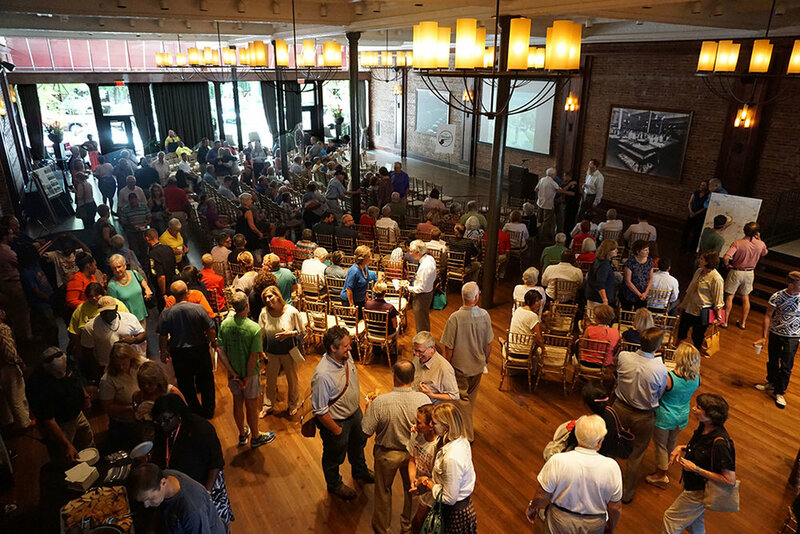 Fueled by their common desire to enhance the quality of life and overall viability of their city, a small group of inspired individuals have crafted this incredible plan to connect the citizens of LaGrange as they once were connected before the automobile came to town. Soon the people of LaGrange will share that common THREAD again. 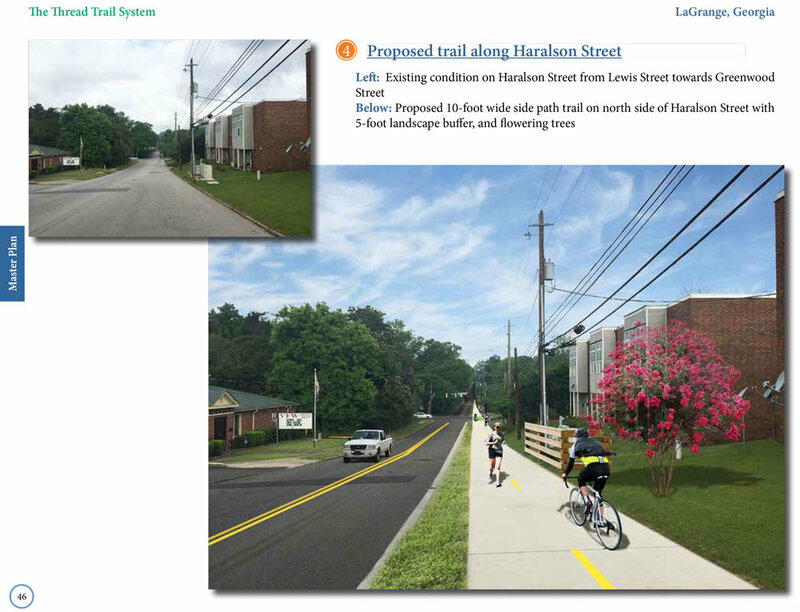 This greenway trail master plan suggests building 29 miles of greenway trails to reconnect the city on a human scale. The Thread is estimated to cost around $23 milliion and take fifteen years to build. The group guiding adoption and implementation plans to begin construction of the first trail segment in early 2017. An aggressive plan to build the first 12 segments in five years using City and County-Wide Special Local Option Sales Tax (SPLOST) to match private funding is being proposed. The 1/4 mile gap analysis of the preliminary Thread Trail system. 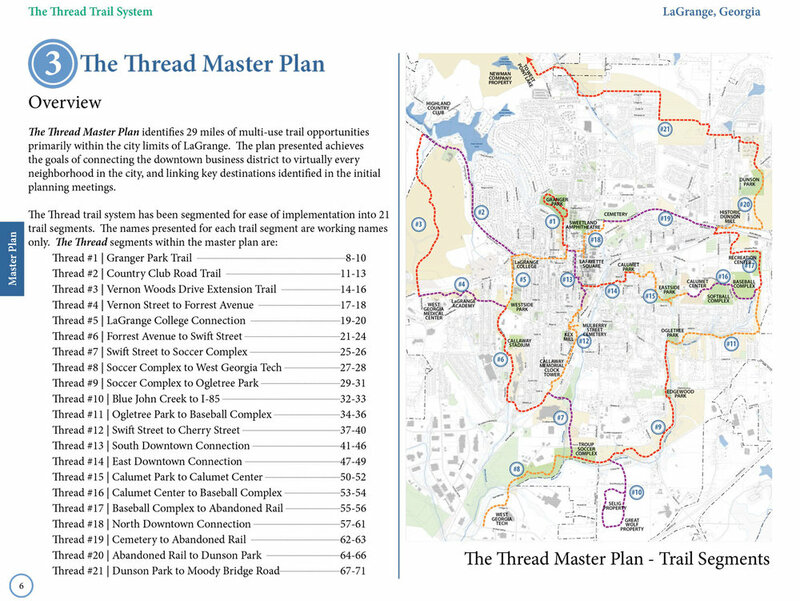 The Thread Trail master plan suggests 29 miles of greenway trails to reconnect the city on a human scale. This plan was crafted with implementation in mind. The first 12 segments were identified for implementation in the next five years. The city and Friends of Thread group celebrated the grand-opening of the first built trail segment - Granger Park Thread on July 24th, 2017.